Knew this day was coming. I postponed it as long as I could. It’s time. 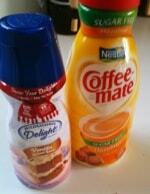 Time to give up coffee – more specifically – time to give up coffee creamer. It’s NOT a clean food. It’s the last thing in my diet that isn’t clean. Even the “sugar free” version has corn syrup. I just dumped vanilla spiced rum creamer down the sink. Sadness. And I’m doing this on a low carb/low calorie day? I’m an idiot. There won’t be a good day to do it, so today is just about as good as any day. Actually, it’s a good day. I’ve got two weeks off from teaching right now so it’s a great time to do it. How am I going to teach summer school without coffee???? THIS is why I didn’t want to teach summer school. The diet. I will be about a month out from the show and the diet is going to be STRICT. Right now, it’s strict, but in July, it’s going to be STRICT. It’s just not right what’s going to happen to the children – just not right. At least my coffee withdrawal should be easier than you might think. For the last six months, I’ve been mixing my grounds with decaf and slowly decreasing the “caf” part. I’ve been about 75% decaf for a few weeks now. If I can’t handle it, I could buy some Stevia drops for my coffee. Maybe mix that with almond milk. These kind of drops are a little expensive, though. We’ll see. I may be OK.
All of this is temporary. I fully intend to resume using dirty coffee creamer after the contest prep is over. Maybe. PS – I just remembered that my doc wanted me to give up coffee years ago. First when I had uterine fibroids. I said “No – they will go away when I hit menopause.” They did. Then again I was told to give up coffee when my blood pressure was high and was put on meds. I said “No. It’s a quality of life issue.” LOL! I guess it’s still a ‘quality of life’ issue – it’s just that I’ve redefined what that means to me. Wah 🙁 You are my personal hero right now. I don’t know what would happen to my quality of life if I quit the stuff, but I do know what would happen to those around me. I hope you pull through, but I know you can do it! 1) I’m not working right now. I’m sleeping as long as I want. I start teaching again in July and have NEVER been able to do math without coffee – I’ve tried. The best I can do is a reduction of caffeine. 2) Made it two days and then I said to myself “Hey! 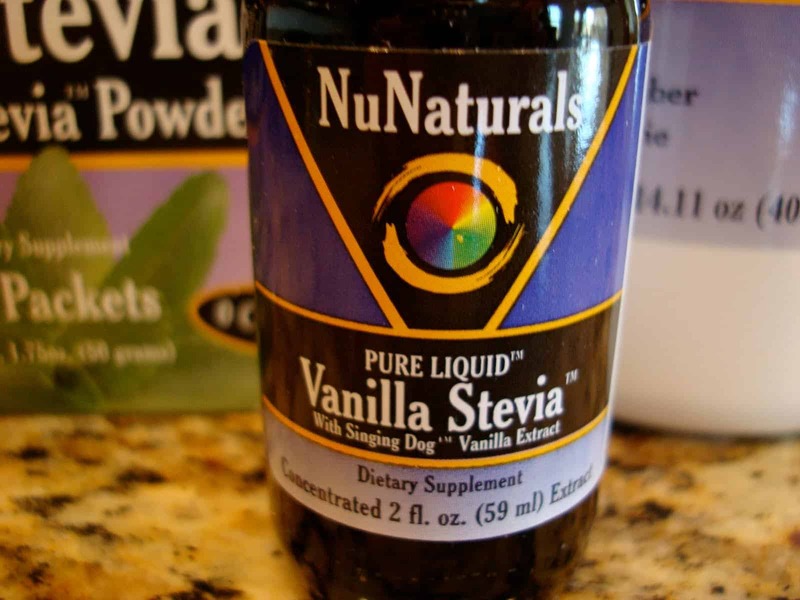 I can make my own clean creamer!” Mixed together some almond milk, vanilla extract, Stevia, and cinnamon. Not good enough. Dumped in a scoop of vanilla whey. It’s not as creamy yummy as the unclean, death-in-a-cup version, but it will do. I’m back on the stuff as of this afternoon. Just a couple cups a day, though. There are still calories to count. Your comment beat my update about my clever work-around to maintain my addiction. Back when I was full blown Paleo I found a website with really awesome “flavored creamers” you can make at home. I’m going to do a little digging for ya this afternoon… Hope all is going well! Thank you!!! That is exactly what I need. I can’t handle black coffee. All is going very well for me. How are you doing? Life as a red head different? I personally learned to drink and enjoy black coffee but if I want a little bit of “umami” in my coffee and can spare the calories, I opt for raw cream from grass-fed animals. There’s nothing harmful in REAL food. Connect anything to my Krytonite, cortisol, and it’s dumped. So very glad to have met you tonight, Bobby! More smart people in my life is a very good thing. Happy to have met you too. We the people shall be our own definers of what is and what isn’t in our food supply.